As the Concordia Student Union prepares for their year-long campaign against unpaid internships, administrators weighed in to explain that their options are limited because of market constraints and a lack of resources. Academic and Advocacy Coordinator with the CSU, Asma Mushtaq, is helping to lead the campaign. The fact that many students in the arts, humanities, education, and applied human sciences are unable to take on for-credit internships that are paid is of concern to the CSU. Even when that’s not the case, Mushtaq has noticed that students in those fields tend to have a difficult time getting access to paid internships. The disparity between fields boils down to a lack of funding, Bhuiyan, and Claude Martel, the director of Concordia’s cooperative program said, as well as a lack of willingness from employers to pay students for their internships. In Concordia’s co-op program, there are significantly more options for paid internships in Engineering, Computer Science, and students at the John Molson School of Business, but comparatively fewer for fields such as the social sciences, art, and humanities. This is of concern for Mushtaq, since those fields tend to attract more than men than women. So was the case for students in art history, who are no longer eligible to take on paid internships within the co-op program. “There were not enough employers [that were] willing to pay,” said Martel, the director of the co-op program, which allows students the chance to take on three paid internships as part of their studies. Martel explained that the co-op program is looking to add more departments to the 40 that are currently offered, but admitted that their choices are constrained by forces outside of their control. When it comes to fields like the social sciences, art, and humanities, many employers aren’t willing or are unable to pool the resources necessary to pay interns, he said. Martel said that right now, the employers most willing to pay interns are found within the fields of aerospace, computer science, biotech, business and finance. Their options are also determined by those willing to donate–whether that be the federal government, the provincial government, or generous corporations and donors willing to fund the humanities. Overall, the three administrators agree with the notion that internships ought to be paid. But the school is limited in what it can change, since it’s the Quebec government that enforces that some departments give accreditation on the basis of non-remuneration only. The Association for the Voice of Education in Quebec, the provincial association of which the CSU is a member, is expected to put pressure on the provincial government sometime this academic year, in a hope that labour laws could be reworked to reflect the financial needs of students who work as interns. 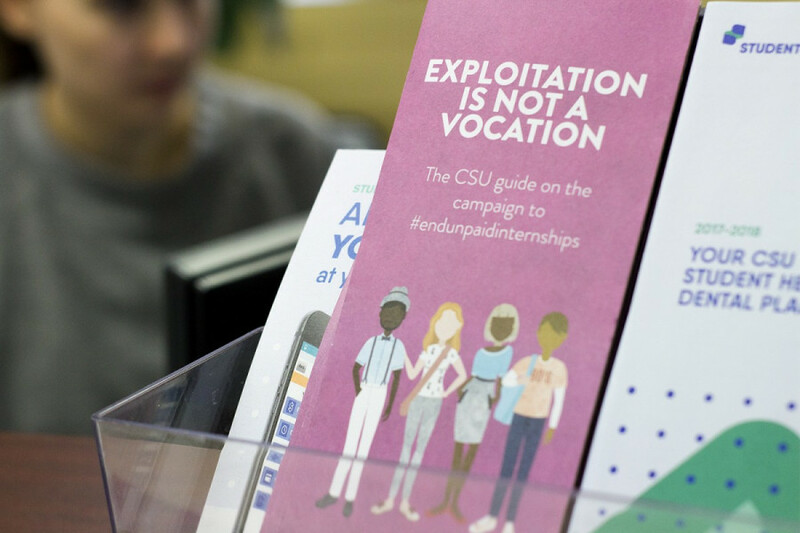 When it comes to finding internships for students, the CSU has been critical of the school, since some programs help place students into internships whereas others do not. Shepard said this is the case since some programs have more resources than others. The CSU has also said that they hope to see the implementation of a centralized body that’ll be able to oversee the caliber of all for-credit internships within the school, since for the time being, each program differs in the way it choose to review its for-credit internships. Bhuiyan agrees, and says internship directors in the school are in discussions to ensure a body like that will be in place within two years.